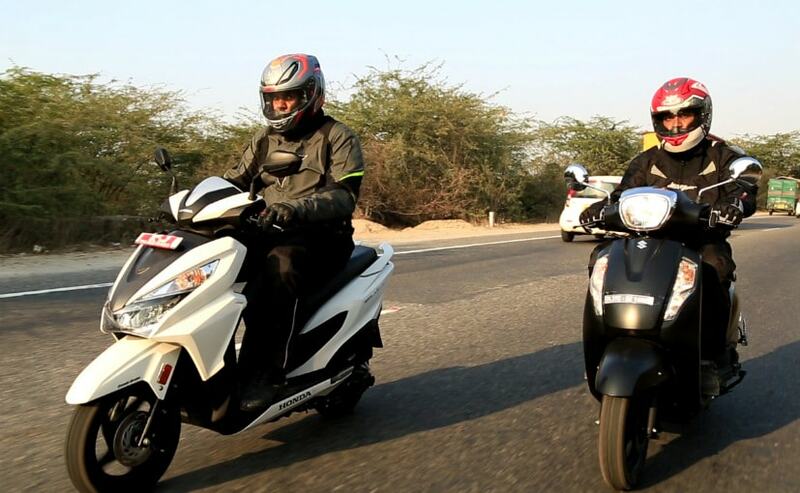 We pit the new Honda Grazia against one of the most popular scooters in the 125 cc segment, the Suzuki Access. The Honda Grazia has fresh design, and a host of features to overshadow the Suzuki Access, but this comparison threw up quite a few surprises, as we found out. There's something about scooters, they are everywhere, and scooters have become the favourite mode of commute for a lot of people these days. 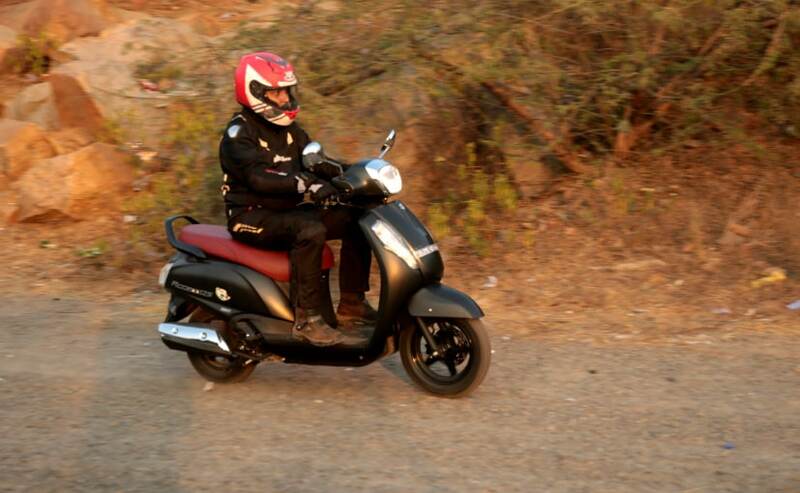 The Honda Activa is perhaps the most well-known name in the world of scooters, easily surpassing all other brands in terms of sales volumes. Most of these are the bread and butter 110 cc scooters, but things are changing quickly as more and more consumers are warming up towards scooters with slightly more power and better dynamics. 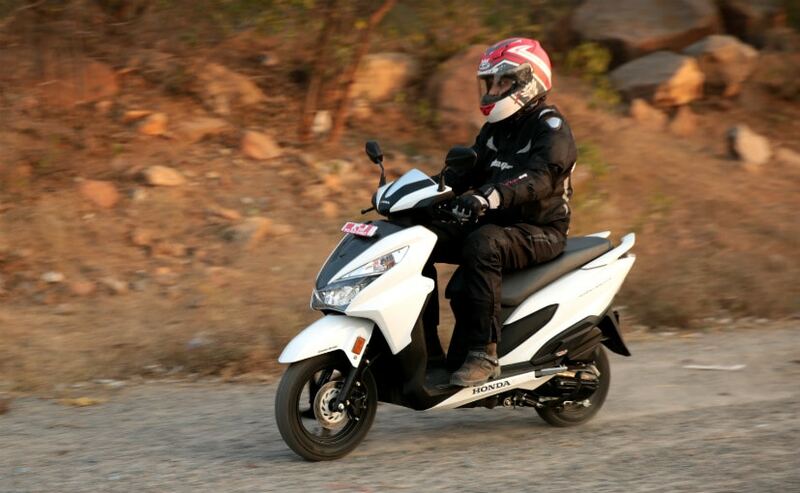 And there's now renewed interest in the 125 cc scooter space with the Suzuki Access leading the pack. Honda Motorcycle and Scooter India (HMSI) already has a very capable 125 cc scooter in the Honda Activa 125, but there's been an equally capable, and one of the largest selling 125 cc scooters to contend with - the Suzuki Access. So, enter the new 125 cc scooter from HMSI - the Honda Grazia! It shares the same engine and cycle parts with the Honda Activa 125, but it gets a complete revamp in styling and features. And it's now the Honda Grazia which will try to repeat the success of its smaller sibling, in the 125 cc scooter segment. So, a comparison with the Suzuki Access is inevitable. Without doubt, the new Honda Grazia is one of the most striking looking scooters in the market right now. That's not to say that the Suzuki Access lacks in the looks department in any way. But both scooters follow completely different design philosophies and look entirely different from each other. The Honda Grazia offers a trendy, youthful design, which will certainly appeal to young riders looking for a sharp, new-age, and contemporary scooter. It's got an attractive front apron, with full-LED headlights, with sharp creases on the body and a sleek rear end with a split grab rail and smart taillight unit. The new Suzuki Access has been around for a couple of years now, and its design is more conventional, a little understated even, but it's a handsome scooter nevertheless. The chromed headlight, round rear view mirrors and simple design of the Access gives it a retro touch, but build quality, fit and finish is definitely good. The rear end of the Access is also not much to talk about, it's not bad looking in any way, but the Access has a more sober, understated look overall. In a way it's the more universally acceptable design, and will cater to a diverse range of customers with different aesthetic sensibilities. The Grazia on the other hand, is the flashier, trendier and more stylish of the two scooters. 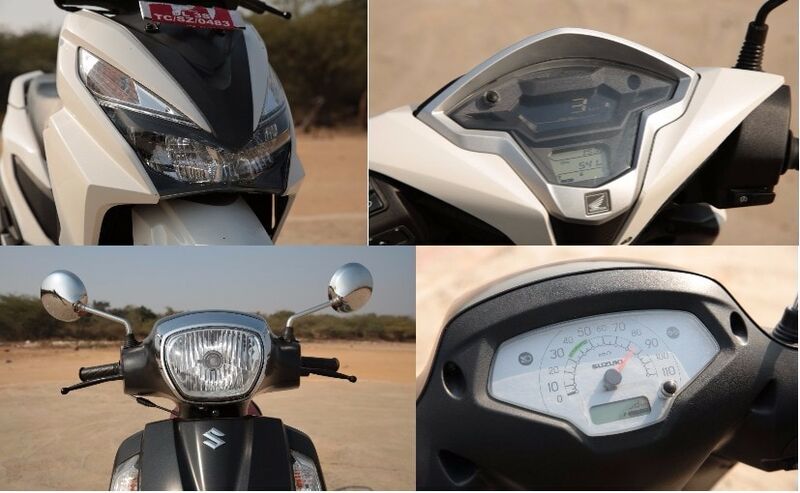 The Honda Grazia gets an all-digital instrument panel which definitely adds to the premium-ness of the scooter and suitably complements its somewhat avant-garde design. It offers a lot more information, including a tachometer, speedometer, fuel gauge and even a clock. The Access on the other hand, has a somewhat plain-Jane clock, with a retro-looking analog speedometer and just a small digital screen below with the odometer and fuel gauge. The Grazia also offers a nice 'flip-open' cubbyhole at the front to carry a mobile phone or other knick knacks, but the Access offers an open storage space. Both scooters have remote switches to flip up the seat. The Grazia has a switch-activated rear hatch opener, while the Access has a handier switch integrated into the ignition. Both scooters have generous underseat storage, the Grazia offers 18 litres of underseat storage, while the Access gets some more room with 21 litres. But both don't offer enough storage for a full-sized helmet under the seat. 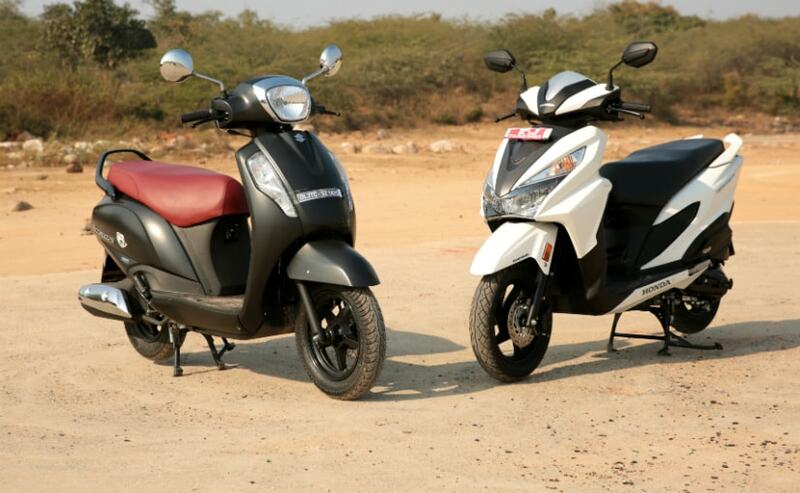 Both scooters have similarly-specced engines, offering near comparable power and torque figures, at least on paper. The Honda Grazia's single-cylinder, air-cooled, 124.9 cc engine makes 8.52 bhp at 6,500 rpm and maximum torque of 10.54 Nm at 5,000 rpm. The Suzuki Access is powered by a 124 cc single-cylinder, air-cooled engine which makes marginally more power - 8.58 bhp at 7,000 rpm, but slightly less peak torque of 10.2 Nm at 5,000 rpm. On paper, both scooters are evenly matched, and on the road too, there's not much of a difference in the way they perform. But the Honda Grazia at 107 kg kerb weight, weighs a full 5 kg more than the Suzuki Access, which weighs 102 kg. The engines of both scooters are refined and offer smooth acceleration, but it's the Access which feels more eager to move, and feels peppier from the get-go. It's quicker than the Grazia and also feels more eager to move at higher speeds. That's not to say that the Grazia's performance is lacking in any way; it's got a refined engine too, and has a strong mid-range, but if it's high speed cruising you're looking at, and overall acceleration, it's the Suzuki Access which comes out tops. 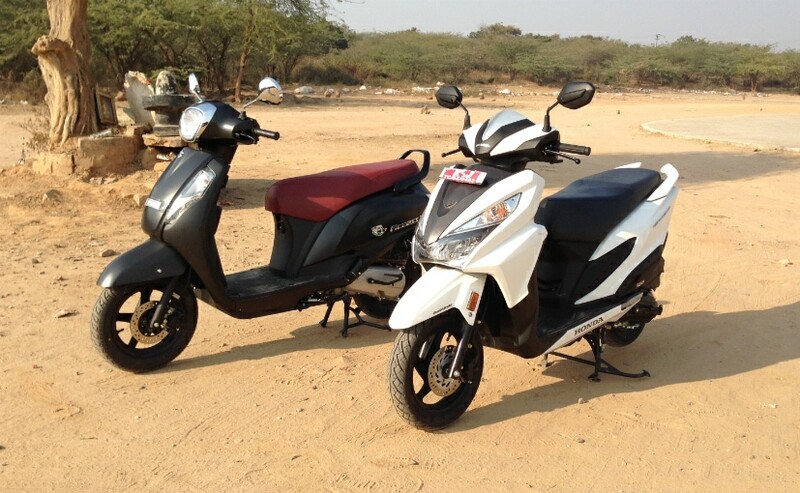 Both scooters offer decent ride quality and are almost evenly matched in terms of handling. Both the Grazia and the Access have telescopic front suspension, and ride on 12-inch front wheels and 10-inch rear wheels. But the ride quality is ever so different. The Grazia feels slightly stiff compared to the Access, and it's the Access which cushions bad roads better than the Grazia. The Access also has a slightly broader and longer seat and that makes it feel slightly plusher and more comfortable than the Grazia. In terms of riding position too, it's the Access which offers an easier riding position than the Grazia, especially when negotiating a curve or flicking the scooter around a corner. That said, both scooters offer near similar handling, but again, it's the Access which offers more confidence to flick it around a corner or two. 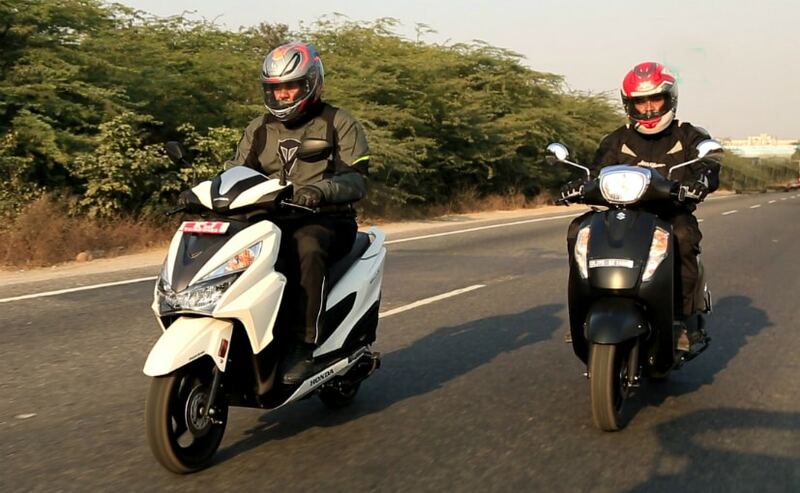 Both scooters offer optional front disc brakes, and the Grazia offers the combined-braking system, which essentially activates both brakes simultaneously with just one brake lever, so that really helps in emergency braking manoeuvres. But the Access offers slightly better bite and progression on the lever, and as long as you're pulling both levers together, the Access offers sure-shot braking power as well. The Honda Grazia certainly ups the ante in the 125 cc scooter segment with its flashy design, and features like the all-digital speedometer and LED headlights. It looks youthful, upmarket, and will certainly appeal to someone looking for a trendy and features-loaded scooter with a smooth and refined engine. The Suzuki Access is more the understated gent, but in terms of pure performance and ride quality, we can't really ignore the qualities it possesses. From a purely enthusiast point of view too, it's the Suzuki Access, which offer more smiles every time you wring open the throttle and negotiate the urban jungle. Besides, with its understated, yet handsome looks, the Access is more universally acceptable to a wide range of riders, ranging from lady riders to the young executive and even slightly more mature riders. At ₹ 57,744 (ex-showroom) for the disc-brake variant, it's the Suzuki Access which offers the better value for money option. And even the Access 125 Special Edition, the one we are testing in this comparison, costs less than ₹ 60,000, at ₹ 59,319 (ex-showroom Delhi). 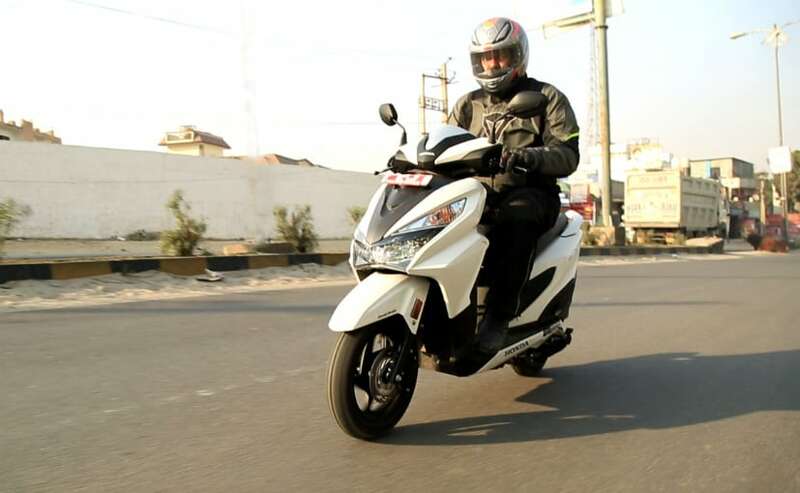 At ₹ 62,505 (ex-showroom Delhi) for the disc brake variant, the Honda Grazia is the more expensive scooter, but it offers a whole lot more in terms of the overall package. And to top it off, Honda also offers a far superior sales and service network than Suzuki, and that makes the Grazia inch ahead of the Access in the eventual comparison. 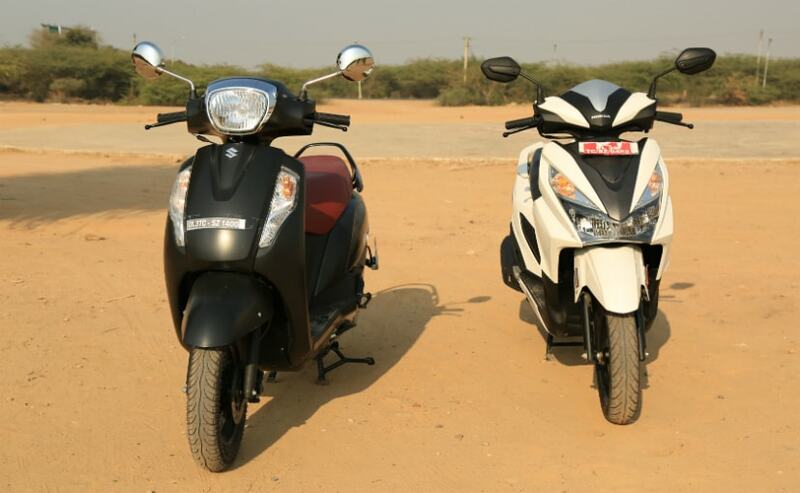 But if you're in the market for a 125 cc scooter, do take a very close look and a test ride of both these scooters, back to back. Each of these two scooters has their own strengths, and eventually it will really come down to personal choice, and a real close calculation of what "value for money" means, to choose one over the other.